Thats all. Game finished - Cardiff City 0, Leicester City 1. Second Half ended - Cardiff City 0, Leicester City 1. Missed chance. Sean Morrison - Cardiff City - shot with the head from the centre of the box missed. Assist - Joe Bennett with a cross. Offside - Leicester City. Ricardo Pereira with a pass, however Jamie Vardy is in offside. Bruno Ecuele Manga - Cardiff City - won a free kick in defence. Wilfred Ndidi - Leicester City - won a free kick in defence. Ricardo Pereira - Leicester City - won a free kick on the right wing. Corner - Leicester City. Conceded by Neil Etheridge. New attacking attempt. Jamie Vardy - Leicester City - shot with left foot from the centre of the box is saved by goalkeeper in the centre of the goal. Assist - Wilfred Ndidi with a through ball. Offside - Leicester City. Ben Chilwell with a pass, however Jamie Vardy is in offside. Substitution - Cardiff City. Gary Madine for Josh Murphy. Callum Paterson - Cardiff City - won a free kick in attack. Corner - Leicester City. Conceded by Sol Bamba. Substitution - Leicester City. Vicente Iborra for James Maddison. 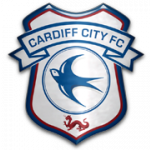 David Junior Hoilett - Cardiff City - receive yellow card for a foul. Ben Chilwell - Leicester City - won a free kick in defence. Substitution - Cardiff City. Danny Ward for Harry Arter. David Junior Hoilett - Cardiff City - won a free kick in defence. James Maddison - Leicester City - won a free kick in attack. Missed chance. Callum Paterson - Cardiff City - shot with the head from the centre of the box goes high. Assist - Víctor Camarasa with a cross after corner. Corner - Cardiff City. Conceded by Ben Chilwell. Missed chance. Víctor Camarasa - Cardiff City - shot with right foot from the centre of the box is close, but missed. Missed chance. Jonny Evans - Leicester City - header inside of six yard box - left side missed to the left. Assist - Wilfred Ndidi after corner. Missed chance. Wilfred Ndidi - Leicester City - shot with the head from the centre of the box missed to the left. Assist - James Maddison with a cross after corner. Corner - Leicester City. Conceded by Sean Morrison. Shot blocked. Marc Albrighton - Leicester City - shot with right foot from outside the box is blocked. Assist - Jonny Evans. Corner - Leicester City. Conceded by Joe Bennett. Víctor Camarasa - Cardiff City - won a free kick in attack. Substitution - Leicester City. Danny Simpson for Demarai Gray. Corner - Cardiff City. Conceded by Ricardo Pereira. Missed chance. Sol Bamba - Cardiff City - shot with right foot from the centre of the box missed to the left. Assist - Sean Morrison . Bruno Ecuele Manga - Cardiff City - won a free kick on the right wing. Harry Arter - Cardiff City - won a free kick in attack. Substitution - Cardiff City. David Junior Hoilett for Bobby Reid. Missed chance. Sol Bamba - Cardiff City - shot with right foot from the centre of the box missed to the left. Assist - Víctor Camarasa with a cross after corner. Marc Albrighton - Leicester City - won a free kick in defence. 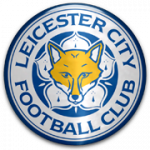 Delay in match Marc Albrighton - Leicester City - - injury. Delay in match James Maddison - Leicester City - - injury. Wes Morgan - Leicester City - won a free kick in defence. Demarai Gray - Leicester City - receive yellow card for excessive celebration. Goal! Cardiff City 0, Leicester City 1. Demarai Gray - Leicester City - shot with left foot from the centre of the box to the right corner. Assist - Ben Chilwell with a cross. Corner - Leicester City. Conceded by Bruno Ecuele Manga. Missed chance. Callum Paterson - Cardiff City - shot with the head from few metres missed after corner. New attacking attempt. Sol Bamba - Cardiff City - shot with the head from the centre of the box is saved by goalkeeper in the centre of the goal. Assist - Víctor Camarasa with a cross. 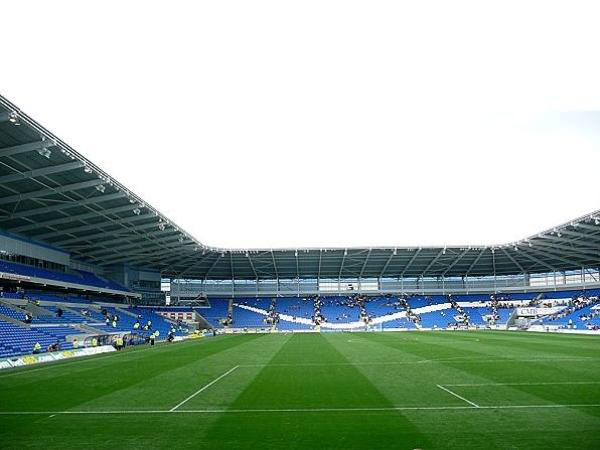 Corner - Cardiff City. Conceded by Jonny Evans. Corner - Cardiff City. Conceded by Demarai Gray. Shot blocked. Jonny Evans - Leicester City - shot with the head from the centre of the box is blocked. Assist - James Maddison with a cross. Corner - Leicester City. Conceded by Aron Gunnarsson. Shot blocked. James Maddison - Leicester City - shot with left foot from outside the box is blocked. Second Half starts Cardiff City 0, Leicester City 0. First Half ended - Cardiff City 0, Leicester City 0. Missed chance. Demarai Gray - Leicester City - shot with right foot from outside the box is high and wide to the right. Assist - James Maddison. Shot blocked. Jamie Vardy - Leicester City - shot with right foot from few metres is blocked. New attacking attempt. James Maddison - Leicester City - shot with right foot from the centre of the box is saved by goalkeeper in the centre of the goal. New attacking attempt. Ricardo Pereira - Leicester City - shot with right foot from the right side of the box is saved by goalkeeper in the centre of the goal. Harry Arter - Cardiff City - receive yellow card for a foul. Offside - Leicester City. Wilfred Ndidi with a pass, however Jamie Vardy is in offside. Shot blocked. Nampalys Mendy - Leicester City - shot with right foot from the right side of the box is blocked. Offside - Cardiff City. Neil Etheridge with a pass, however Callum Paterson is in offside. Callum Paterson - Cardiff City - won a free kick on the right wing. Offside - Cardiff City. Bruno Ecuele Manga with a pass, however Sean Morrison is in offside. Ricardo Pereira - Leicester City - receive yellow card for a foul. Josh Murphy - Cardiff City - won a free kick in defence. Jamie Vardy - Leicester City - won a free kick on the left wing. Víctor Camarasa - Cardiff City - hits the bar with a shot with right foot from outside the box from a free kick. Delay in match Demarai Gray - Leicester City - - injury. Substitution - Leicester City. Jonny Evans for Harry Maguire - injury. Delay in match Harry Maguire - Leicester City - - injury. New attacking attempt. Bobby Reid - Cardiff City - shot with right foot from outside the box is saved in the top centre of the goal. Assist - Harry Arter. Nampalys Mendy - Leicester City - won a free kick in attack. Offside - Cardiff City. Harry Arter with a pass, however Callum Paterson is in offside. Marc Albrighton - Leicester City - won a free kick in attack. Joe Bennett - Cardiff City - won a free kick in defence. Offside - Cardiff City. Callum Paterson with a pass, however Víctor Camarasa is in offside. Demarai Gray - Leicester City - won a free kick in defence. Nampalys Mendy - Leicester City - won a free kick in defence. Missed chance. Víctor Camarasa - Cardiff City - shot with right foot from outside the box missed. Assist - Callum Paterson. Shot blocked. Bobby Reid - Cardiff City - shot with right foot from the centre of the box is blocked. Assist - Harry Arter.